Kahlo is one of my favorite artists. I've been in love with her work since I first learned about her in my high school Spanish class. 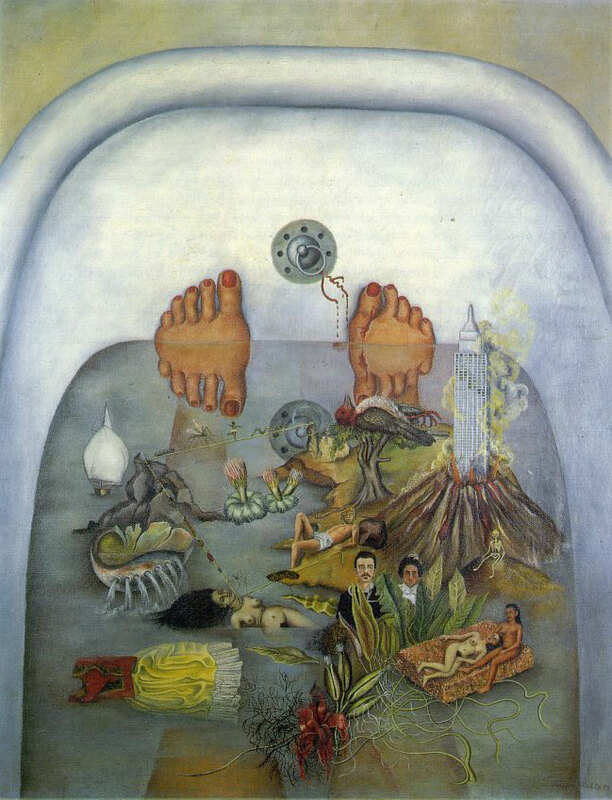 Frida Kahlo was a Mexican-born painter. She suffered from many health problems during her lifetime which mostly stemmed from her bus accident as a teenager. 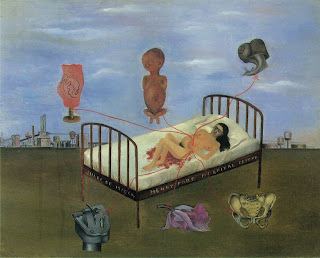 Frida had always loved to draw, but particularly enjoyed painting during her recovery. A mirror was placed over her bed so that she could paint herself. 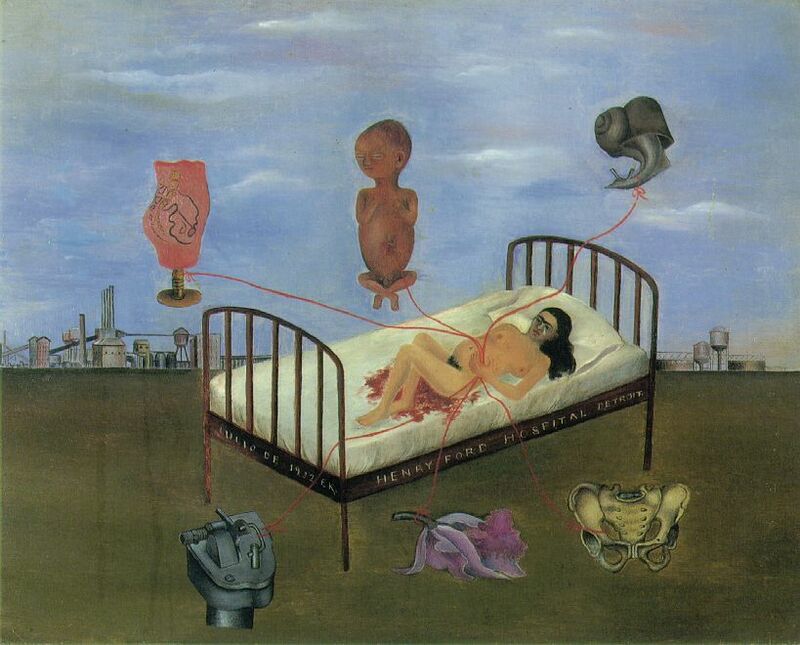 Frida Kahlo also had issues with a miscarriage and had to wear a back brace for most of her adult life. She also had marital problems with the famously promiscuous Diego Rivera which caused her a lot of emotional grief. Kahlo lived in constant pain and suffering, but turned it into wonderful artwork. 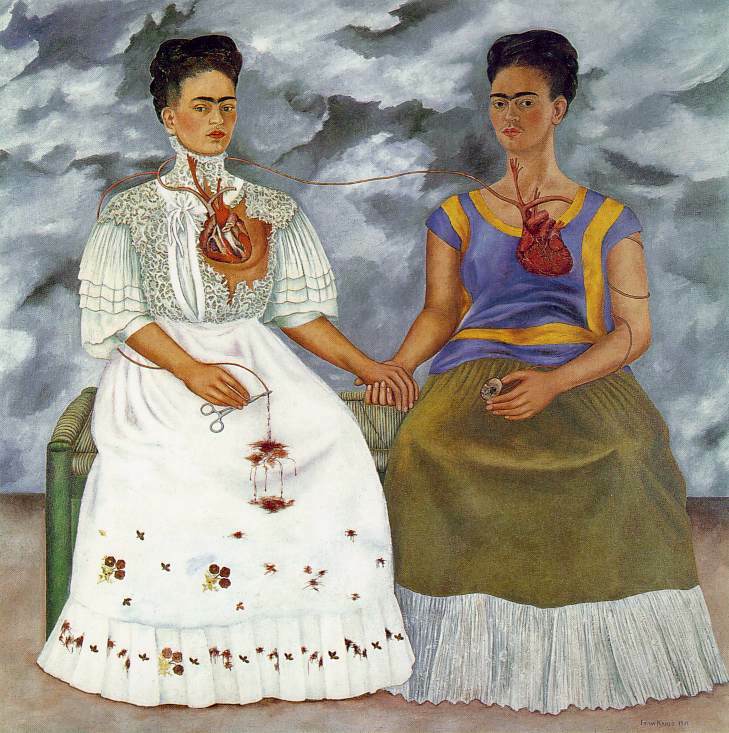 Kahlo is best known for her self-portraits (which is what the majority of her work is). They act as a sort of autobiography. She is also known for her love of Mexico and her passion of politics. All of these things are depicted in her paintings. I was lucky enough to see Las Dos Fridas in person on my trip to Mexico my freshman J-term. I think the reason I feel her work so strongly is that she is so clear on the emotional and physical expressions of herself and I find I identify with them. All info and pictures are from a site dedicated to her, here.